Honestly I don't know how I've made it to 55 entries on this blog with only two of those referring to Scandinavia. 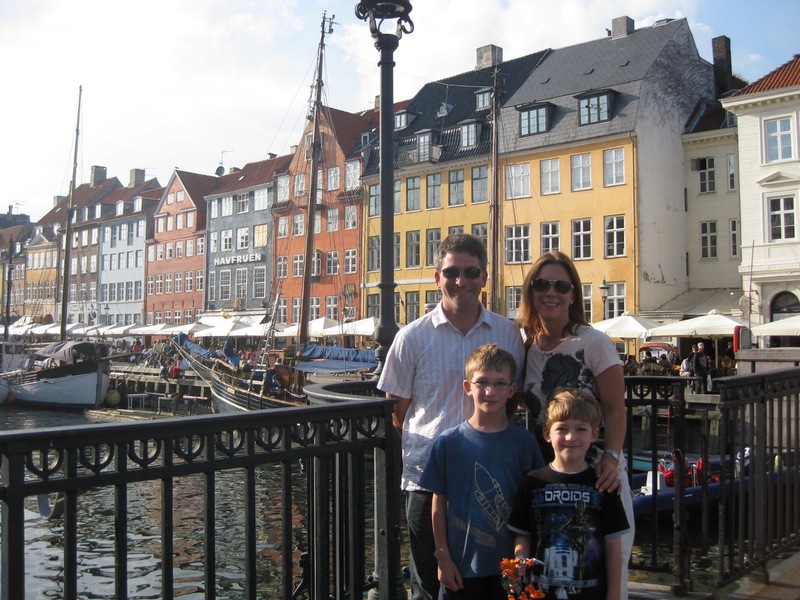 It was the idea of traveling to Denmark, Sweden, and Norway that sparked our family's interest in adventure, so it's really how C&G got started. Before summer 2011 we'd never traveled beyond North America as a family. We joined Grandma & Papa C&G on their vacation in Hawaii in May 2010 (cheers to all their Marriott points and a free place to stay) and getting there from the East Coast was no easy task. After the little C&Gs did amazing on the two day flight, we realized we could make it to Europe in half the time for probably half the money. We had been thinking Scandinavia would be the perfect place to start, with so many beautiful, clean cities and their very family friendly way of life. In January of 2011 Scandinavian airlines advertised a huge sale on summer fares, which we took as a sign meant directly for us, so we bought four tickets and the game was on. We decided to fly into Copenhagen and out of Oslo (thankfully the same price as round trip), and figured we could train, ferry, fly, or fjord between the countries. Flying between the three countries was cheapest, and I realized the boys wouldn't be so happy on a sixteen hour ferry ride from Copenhagen to Oslo. After about half an hour of looking at fjords, the whining and asking for iPads would probably start (from me) and it would make for a very long day. Flights on Norwegian Air between the big cities cost less than half a family Eurail Scandinavia pass, and at less than an hour of flying time worked out to be the best bargain ever. Once you get to Europe, it's very easy and inexpensive to jet your way from country to country. Why isn't it that simple in the US? My first order of business was buying the Rick Steves' Scandinavia guide book, which I used to plot out our two weeks of travels. 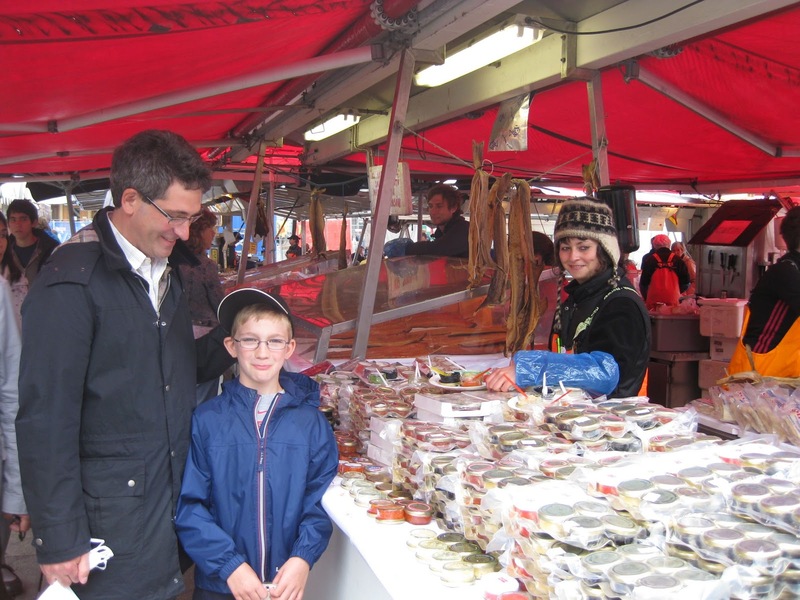 Googling "Scandinavia with kids" didn't turn up many useful results, so it was just me and my new best friend Rick Steves. I trusted Rick to tell me where to go, and I trusted the Danes, Swedes, and Norwegians to help us out along the way. English is spoken everywhere in Scandinavia and we never had a problem communicating. Little kids are so integrated in every day life that traveling with our kids was never a hassle in Scandinavia. Buses and trains had special spots for strollers, not that we traveled with one but it was nice to see. Kids ruled the restaurants (well behaved, of course) and nobody batted an eyelash when we wandered into the Michelin starred masterpiece restaurant of Mathias Dahlgren. We weren't at our best, having just disembarked from a hot and sweaty boat tour of the harbor, but they welcomed us and it's one of the meals the boys still rave about. Try waltzing into Per Se in NYC with your kids and see how quickly your warm welcome is turned into a frosty stare. Except for a few small parking issues (Mr. C&G might argue not so small) and a two hour wait for dinner at a Stockholm hot spot (wait till you see the bevy of blonde beauties dining there, I took a photo of the Little C&Gs really for the girls in the background) our two weeks of travel was a huge success. 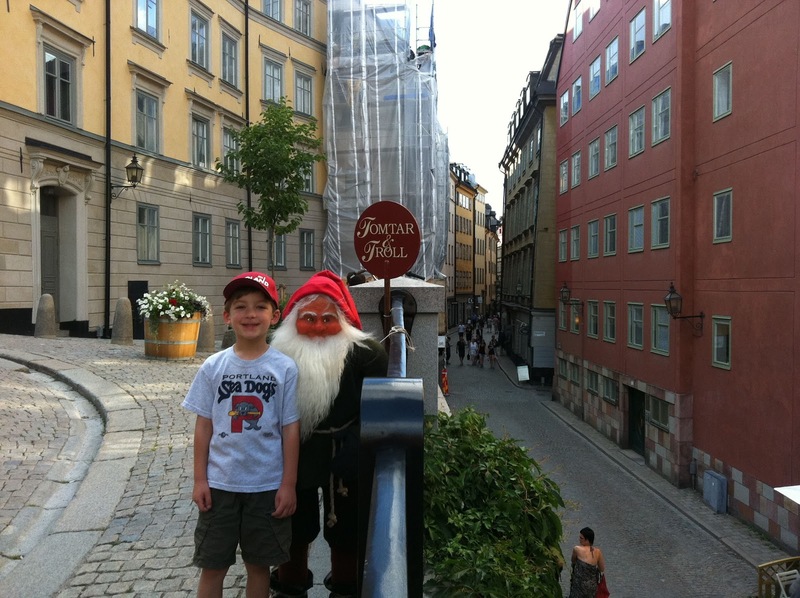 I'll get right on some Scandinavian posts, in the hopes that C&G will inspire you and your little ones to explore the beautiful family friendly countries of Norway, Sweden, and Denmark. Skål!